It was awesome working with Bruno (Insta paris). We did our prewedding photoshoot with him and he spent additional time just to get the best photos from perfect spots. And oh yes, communication with him prior, during and after the shoot is 'first class'!!! We had a blast doing our wedding photoshoot with Bruno! We come from Texas and it was worth booking Bruno. His attitude was so cheerful and cool. His talent is amazing, he captured beautiful pictures of me and my husband. I cannot recommend Bruno enough! 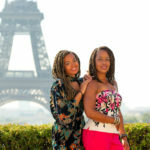 He recently photographed our travel in Paris and exceeded our expectations! The whole process was seamless from start to finish. He is easy to work with and makes the whole process fun! We love, love, love the final pictures and couldn't be happier. There really is no reason to look anywhere else, Bruno @instaparis is THE BEST! 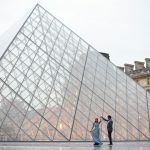 We have booked Bruno to capture our proposal in Paris and it was great decision! Bruno is fabulous photographer, passionate about his job and his photographs were amazing. He was also very fast to send us the photos. I strongly recommend Bruno and would definitely choose him again. My husband and I did a shoot in front of the Eiffel Tower & Bruno was absolutely fantastic to work with. He was so easy to shoot with and made our experience fun, memorable, and amazing! He was very patient with us and his skills are unbelievable and even gave us posing suggestions and advice for the best outcome. He also is very prompt and professional with time and delivery. We would definitely shoot with him again and would recommend anyone traveling to Paris to shoot with him! We can’t wait to return and look forward to another session in the future. We had a fantastic engagement photo shoot with Bruno! He was a pleasure to work with to coordinate the details. We were so limited in time in Paris, and he made everything go so smoothly. The photos were absolutely gorgeous too, we have so many lovely shots. Bruno really guided us and helped us pose, and we are so grateful to have so many great shots. Thank you so much Bruno! My fiancé and I took a trip to Paris for his birthday. We booked a photo shoot with Bruno because we wanted to capture the moment. Great eye to detail, professional, timely, and friendly are just a few words to describe Bruno. His work exceeded our expectations. 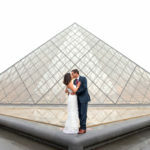 If you are looking to capture Paris memories, Bruno is definitely the photographer you are looking for. Bruno, took some beautiful pictures of my husband and I while in Paris. He is very responsive, personable, and makes you feel very comfortable during the shoot. We recommend him 100%! Highly Recommend!!! Bruno was amazing from when he first replied to my inquiry, until we said our goodbyes the day of the shoot! He gave great instructions on location, posing, and overall direction throughout the shoot, but allowed us to take creative lead. He took the time to get to know my fiance and I, and was genuinely interested in learning more about the two of us and our love story. Bruno was so quick with returning the images! These are priceless heirlooms that we will cherish forever. Thank you, Bruno!!! Bruno was fantastic to work with. He was so interactive, easy going, and fun to work with! Terrific photos and amazing photography and person! 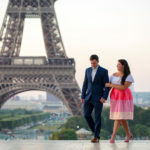 My husband and I took a spur of the moment trip to Belgium to visit family and decided we could get photographs done in Paris, as Paris is a quick train ride away for our ceremony Save The Dates. In contacting several other photographers, I just got the feeling they didn't have the time as it was so short notice (4 weeks out), interest or simply cost a leg and an arm for a short session. I went to Instagram and the first Photographer that came up was Bruno from InstaParis. It was a match made in heaven. He was so prompt in responding and so easy to work with. He is a true professional in providing you with detailed information and the photography packages he offers. 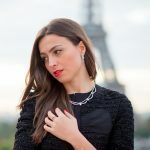 My husband and I arrived in Paris to what felt like the coldest day ever - in heels and a short dress, I felt warm despite the overcast, the wind, and cold. Bruno led the photos and made us feel so comfortable and at ease. We didn't have to think twice how to pose or what to do - he is genuinely an artist. Did I mention he even placed his warm jacket over me between the locations? He is a true winner. My husband and I could go on for days about Bruno and his business - he is THAT great. We love our photos that we got to sit down and choose. We got high definition photographs that we can edit and do with as we please. They turned out magical. Thank you Bruno. He was fantastic. His friendliness and warmth made the photo shoot fun and an experience we will never forget. Needless to say, the pictures came out looking fabulous. Can he get more than 5 stars please? Our very first photo shoot and Bruno made it so natural and easy for us. He brought out the smile in my very serious husband. Highly recommended to all. Bruno est quelqu'un de très agréable et prévenant, respectueux des horaires et des délais de livraison. Très agréable, belle expérience à renouveler avec grand plaisir ! Super-talented, easy to work with, Bruno has an eye for what makes great images amazing! He makes you comfortable in your own skin, and he is passionate about capturing the best images. Highly recommended, especially to capture moments in the beautiful city of Paris! Thank you Bruno! I surprised my daughter with a photo shoot while in Paris with Bruno. He was on time, professional and great fun. I loved that he took a few shots and gave suggestions on how to improve the picture. He was very patient. I absolutely love our pictures! 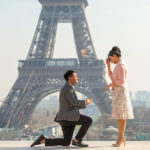 I arranged a photo shoot for a surprise proposal near the Eiffel Tower with Bruno and it was so great to have him take the photos of us. He was very professional and easy to shoot with and made us feel really comfortable in what was a quite stressful time! He is a great photographer and took some amazing pics of us which we will treasure our whole lives. Thank you! I am from USA and a dancer. I have always wanted to do a photo-shoot in Paris and I am happy I got to shoot with this talented photographer. I got my photos back quickly which is really great and the quality was very good. The final edited photos were very nice. I was amazed. I definitely recommend!!!! Bruno is wonderful photographer who pays attention to details.Loved the way he captured us. I was in Paris on holiday and as a dancer, I was itching to get some beautiful shots of me dancing around Paris/at The Eiffel Tower. A quick Google search led me to Bruno/InstaParis and the rest is history. Bruno was absolutely wonderful to work with. He responded very quickly to my initial interest email and was extremely flexible on details and sent me plenty of inspiration for the kinds of shots he could achieve. When I arrived at Trocadero, I just knew we were going to get some magical shots. He showed me a few of the photos on the small screen of his camera just to make sure I was getting what I wanted and that I was positioned correctly, and he gave me a good little system to get the best shot. Once we got into a good rhythm, which only took like 5 minutes, we were laughing and having a ball for the whole session! He gave me tons of great ideas for posing and he helped me feel relaxed and able to focus on doing what I do to get the photos I wanted. Then at the end of our session, we sat in a cafe and whittled it down to the money shots and he got the photos back to me within a few days. Honestly, if you are looking for a photographer in Paris, Bruno is one of the best! We had a photoshoot with them today and we are extremely satisfied with InstaParis (Bruno) he was very helpful and professional, we were really late to the shoot due to traffic but he stayed late and made sure we had a great shoot, I have 2 toddlers and it's not easy to shoot them, but he was very calm and my children actually responded to him during the shoot.. We got all our pictures in less than 8-10 hours of the shoot and I am must say that they were amazing...great quality and use of light and surroundings, they have a great knowledge of the area and the best spots too. I would really really recommend to them to everyone, if you are traveling to Paris or living there...InstaParis will make your shoot an amazing experience! Most amazing experience with Bruno! Beautiful photography in Paris and couldn't be happier! Thank you so much! We had a photo session for our honeymoon in Paris and we couldn't be happier that we found him. Bruno is very friendly, he was on time, professional, and he guides us on how to pose to get the best looking photos. He is prompt in the delivery of the photos. All the photos turned out amazing. We are very happy. This December, my fiancée and I had our engagement photo shoot with Bruno. He was great to work with and he made that day so fun, comfortable, memorable and amazing. Bruno knows his stuff and is so helpful not only with what poses and pictures might look great, but making sure you and your significant other enjoy your day. Even with the holidays around, Bruno got us our pictures so fast and they looked amazing! We would definitely recommend him! We took the photosession yesterday with my mother and it was a great experience! We had never had a photosession before but it was funny and with great results!! Besides Bruno is a wonderful person to deal with and he helped my mother to reach a high wall and was kind with us in every moment so as I am, she is very pleased to know him too!! Bruno was amazing to work with. 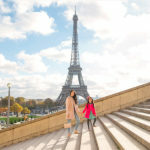 I surprised my 7 year old daughter with a quick trip to Paris. He was incredibly patient with my daughter who was not in the mood to take photos and with me (a very particular person !) It was a cold day but we still managed to get amazing photos; I never felt rushed. Bruno is very kind and very reasonable and I can't wait for our next trip to Paris to use him again! These photos will be treasured forever; the perfect balance of artistic and editorial. Thank you, Bruno! Bruno was amazing! I contacted him I. August to set up the shoot and he responds very fast to messages. He messaged me days prior and the day of the shoot checking in. He made us feel comfortable during the shoot even though people were every where watching. We had so much fun and j would recommend him to anytime! Thanks again Bruno! Bruno was great fun to work with during the shoot but always a true professional; communication was top notch and photos were sent to us a few hours after the shoot itself! We had beautiful photos taken of our 7th wedding anniversary today in Paris thanks to Bruno. 5* service all round! I had lots of fun and my pictures were top quality. Bruno is just an amazing photographer! Having done many professional shoots, Bruno was definitely the best among them. Once we decided to travel to Paris, all my wife wanted was to take family pictures with the Eiffel Tower. We chose Bruno after reviewing many photographers, and we could not be happier. Bruno accommodated to our every need, and somehow managed to even make our 1.5 year old baby smile and look great in the photos. He was super personable and efficient, as we knew our baby could not stand a prolonged shoot. In the end, the pictures were so amazing that we paid for triple the number of pictures in our initial package. Despite the additional cost (which is very reasonable), we could not be happier. We cannot wait for our next Paris trip, as we are certain to hire Bruno again for a shoot at a different location. Bruno sets the highest standard for photography in Paris. It was my dream to have a photo shoot with my husband at the Eiffel Tower on the day of our wedding anniversary. After extensive research of multiple photographers, Bruno was genuinely compassionate in taking perfect, exquisite photos of my husband and I. In addition, he accommodated our date & time preference. We will forever cherish our perfect anniversary photos as priceless heirlooms. I would love to take our children with us to Paris in the future so that Bruno could complete our family portraits. Therefore with all of this being said, I highly recommend for everyone to hire only Bruno as your photographer in Paris. From the minute I contacted him he was such a help! The communication was very clear, he was able to accommodate our shooting to another date and time because of weather! He made sure we were comfortable in front of the camara! The price is very reasonable too! I would recommend him any day any time! Thank u so so much! I am so lucky to have met Bruno in Paris! Bruno is an excellent photographer, he is professional , he has many inspiring idea, we feel very comfortable and relax during the photo shooting, we are very happy and the result is extremely GOOD! Totally over our expectation, all of my friends are full of envy after saw my photo. I really appreciate his work and will highly recommend him! THANKS BRUNO! YOU ARE THE BEST!